The Blossoming Basket Bundle is just one of three new Sale-A-Bration items that you can earn for FREE! 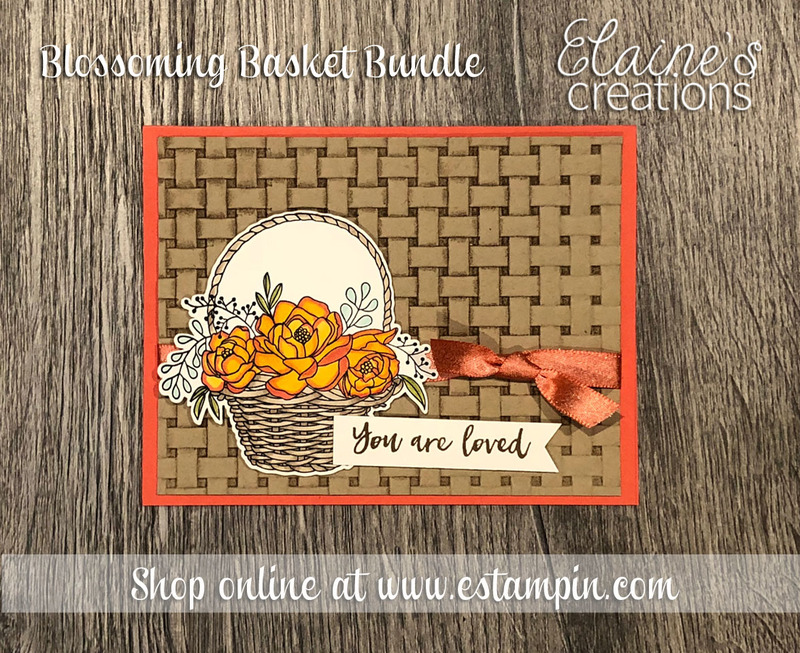 I inked up the Basket Dynamic embossing folder with Crumb Cake ink to really make the basket weave pop! I colored the basket with the Blends and added some Sale-A-Bration shimmer ribbon. Earn this bundle for free when you place a $100 merchandise order.